So I’m hoping you’ll forgive me for cheating a bit on this post. Technically speaking it doesn’t start with x, but close enough right? When your child is autistic, you can spend a lot of time explaining autism to everyone. Your friends and family, teachers, children, and basically every stranger in the grocery store. Sometimes I love explaining autism to people who are truly trying to understand. Other times, I get annoyed explaining the same thing every single day, which is one reason that I promote understanding and acceptance over awareness. Aside from getting annoying, it can be challenging to explain. How do you tell people about the eating struggles, neurodiversity, sensory struggles, communication differences, and the wide spectrum to a stranger? And should we even start to share the ugly side of autism? 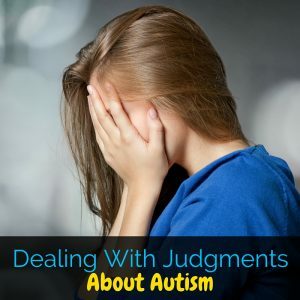 In this post I’m going to cover some simple ways to explain autism to different people you may encounter in a respectful and easy to understand way. Even if sometimes you want to be snarky or have a meltdown yourself! 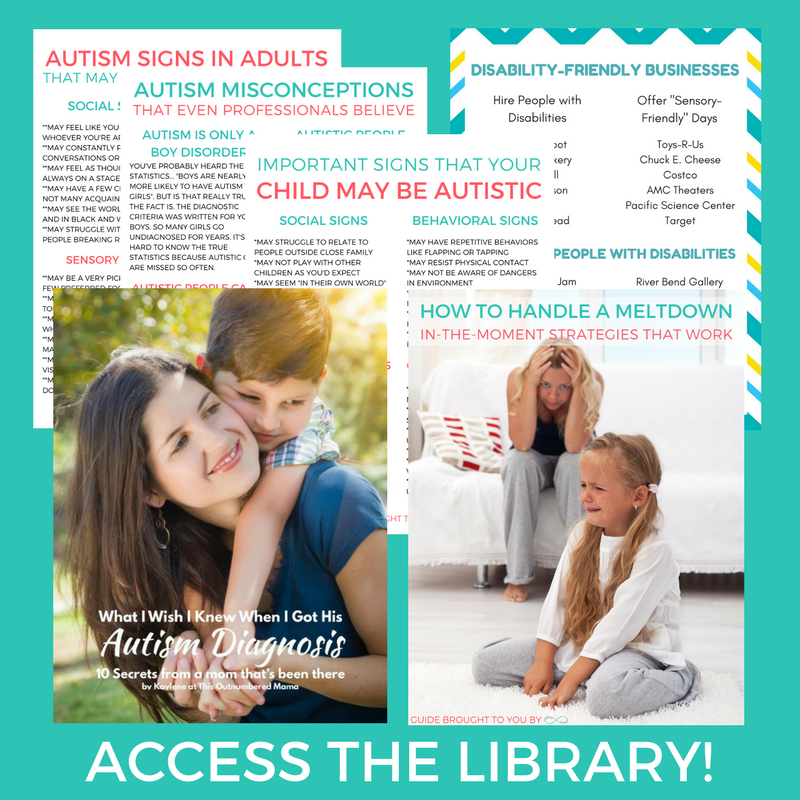 Don’t forget this post is a part of the Autism A-Z Series for Autism Acceptance Month! You can check out the rest of the posts in the series here. After you first get an autism diagnosis for your child, your family and friends are likely going to be the first that you need to explain autism to. Keep in mind that you only need to go as deep into your explanations as you feel comfortable. 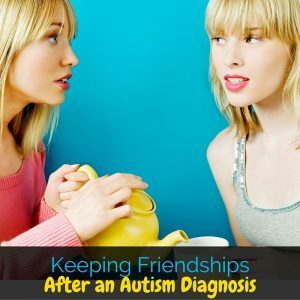 With friends and family it’s easiest if you keep the conversation focused around your child as opposed to autism in general. Explain the foods that your child will eat and different sensory struggles that may set your child off. Be sure to explain the difference between tantrums and meltdowns, and let them know how they can help you and your child during a meltdown. There’s some controversy surrounding this one, but here me out. Please tell your child they’re autistic. Please teach them about the wonderful community of disabled self advocates that they can connect with. We have told A-Man that he’s autistic, though he doesn’t fully understand it yet. When asked if he’s autistic he will often say yes. We discuss autism regularly in our house, just like we discuss Baby M’s disabilities and Mr. C’s giftedness. It’s a normal thing in our family. If you decide to not tell your child they’re autistic, or you tell them something about how they are “just different” you run the risk of your child believing that there is something wrong with them when they aren’t. Also, when they learn that they are autistic, they will believe that autism is something to try to separate themselves from instead of a beautiful and unique part of who they are. 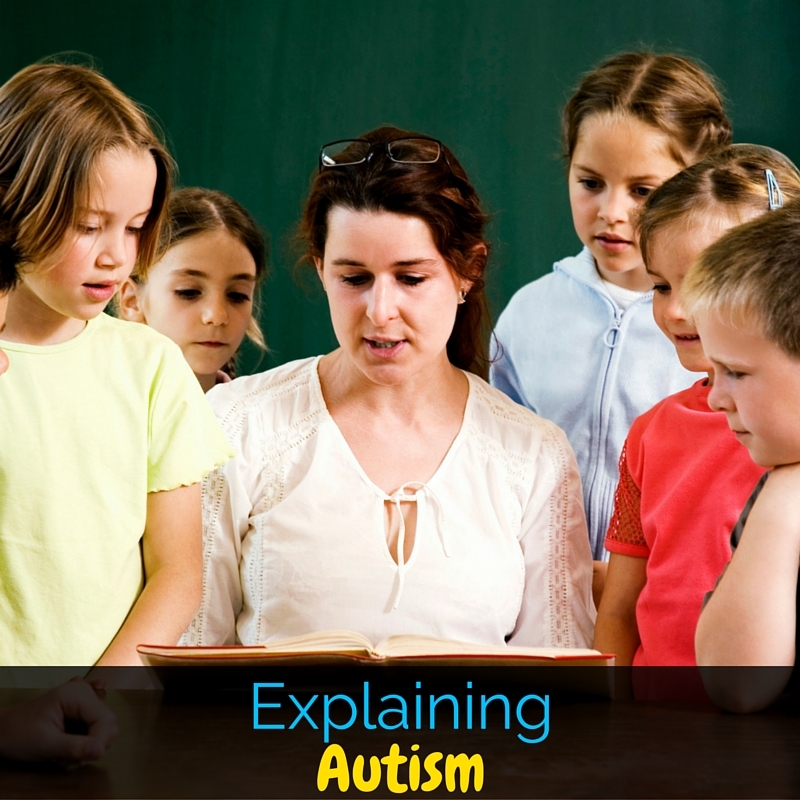 Explaining autism to children can be really difficult, and it should always be done in an age appropriate manner. In an ideal world, children would grow up with plenty of experience with people of all abilities, but that just isn’t always the case. Sometimes kids are rude. They might stare and point. They might be bullies. It’s important to help kids understand instead of labeling them as mean. I like to tell kids that every person is build differently, and some people’s brains and bodies work differently than others. It’s important that we help people when they’re struggling and support them when we can. Then, if at all possible, I try to get into specifics. Do what you can to give children concrete examples of how they can be good friends to autistic children. Maybe that means giving them space when they get overwhelmed, or not trying to force eye contact when they’re talking. This might be the most difficult thing you do some days. Whether it’s the rude lady in the grocery store talking about your child’s meltdown, or a fellow mama in the park who asks why your child is stimming, you will often find yourself explaining autism to strangers. The first step? Taking a deep breath and trying to remember your life before you knew all about autism. You probably knew one or two autistic kids and thought that was an accurate representation of autism as a whole. You probably said things that you shouldn’t have. Try to remember all of that and have patience. Then, you need to determine how much is appropriate to share. If someone asks what you’re child is doing, you can simply say “oh, he’s stimming. It’s something that autistic people do when they’re excited” and leave it at that. If it’s a mom at the playground who seems interested, feel free to go into more detail. Another thing to keep in mind is that you are not obligated to share with anyone. If someone is being rude about your child, telling them that your child is autistic isn’t likely to change their behavior. You do not need to be a walking PSA for autism awareness/acceptance. You would think that this wouldn’t be necessary, but it is in many circumstances. You’ll need to explain autism to teachers, nurses, baby sitters, church professionals, camp directors, sports coaches, and more. My best advice for this is to stick as much as possible into explaining your child and their autism instead of trying to explain autism as a whole. Be sure to explain your child’s individual struggles and strengths. Explain to the professionals in your child’s life exactly what supports and accommodations that you expect from them, and also outline anything out of the ordinary that you plan on doing for your child. Do you plan to send your child with a fidget toy? 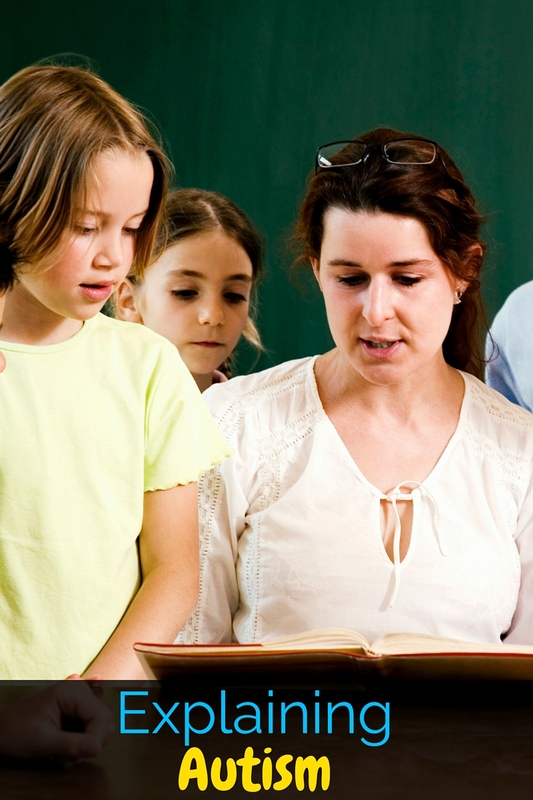 Do you need the church leader to give your child sensory breaks once an hour? Make all of those expectations clear from the beginning. These are just a few tips to help with explaining autism to various people in your life. It will get old sometimes, but it’s worth it. Just keep educating, sharing, and letting others ask questions. It will help people start to truly understand autism, and more people will start growing up understanding and accepting autistic people. Don’t forget to check out the rest of the posts in the Autism A-Z Series here!